N.B. The Fisherman’s Cottage closed in May 2016. It has since opened under new management and now has I Love Paella operating out of the kitchen (see my review of ILP from when they were based at The Horn). I’ve left this review up for posterity. The Fisherman’s Cottage really is a lovely pub – so much so, in fact, that one of the biggest dangers of reviewing it as a place to eat was the risk that I’d let its obvious charms as a pub cloud my judgment. The family who own it did a splendid job of doing it up prior to opening last December and the building (Grade 2 listed, apparently) really stands out on the canalside. With the beautiful white front, big conservatory and chi-chi beach huts out the back, it feels like it belongs somewhere swanky by the Thames, not a stone’s throw from Orts Road. I went, believe it or not, because the blurb on their website really struck a chord with me. They have a little kitchen, it said, and they aim to keep things simple and do things well. 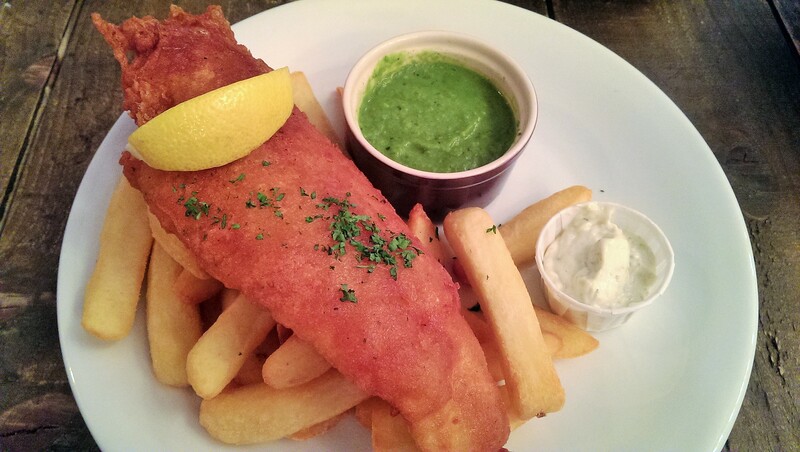 They don’t want to be a restaurant or a gastropub, they’re happy being a pub that does some popular classics. I think that’s an admirable goal, and I wanted to see whether they achieved it; so many restaurants feel like they’re trying to do everything at once, or they simply don’t know what they want to be when they grow up. And that’s crucial, especially for new restaurants, because if they don’t get that right, some of them don’t get to grow up at all. Inside, it’s equally tastefully done and nicely broken up into sections. There’s a lovely snug off to the left and the conservatory (tastefully lit with a very “now” array of suspended bulbs) off to the right, a clever mix of high tables with stools and low tables with chairs, some for drinking and some for eating. Nothing quite matches but everything looks very well put together and nicely judged. The area out the back really is attractive – I feel sad for them that they haven’t had a good enough summer to make the most of it – although the recurring whiff of fag smoke from outside every time the conservatory door was open did put a slight crimp in proceedings. It’s not as small a menu as you might think, but it does stay very much on safe and familiar ground. There are about ten starters, a few sharing platters and a set of mains which revolve around burgers, fish and chips, gammon and scampi. The previous landlord of the Fisherman’s Cottage flirted with doing Thai food and the new owners have continued that tradition, so there’s also a small selection of Thai mains – red curry, green curry and massaman lamb. The menu isn’t available online and, in truth, there’s nothing about it that would make you desperate to try it. But I still had that blurb in the back of my mind: there’s nothing wrong with doing the classics well. I nearly didn’t have a starter, because the options – breaded garlic mushrooms, breaded mozzarella sticks, plaice goujons and the like – all felt a tad Iceland. 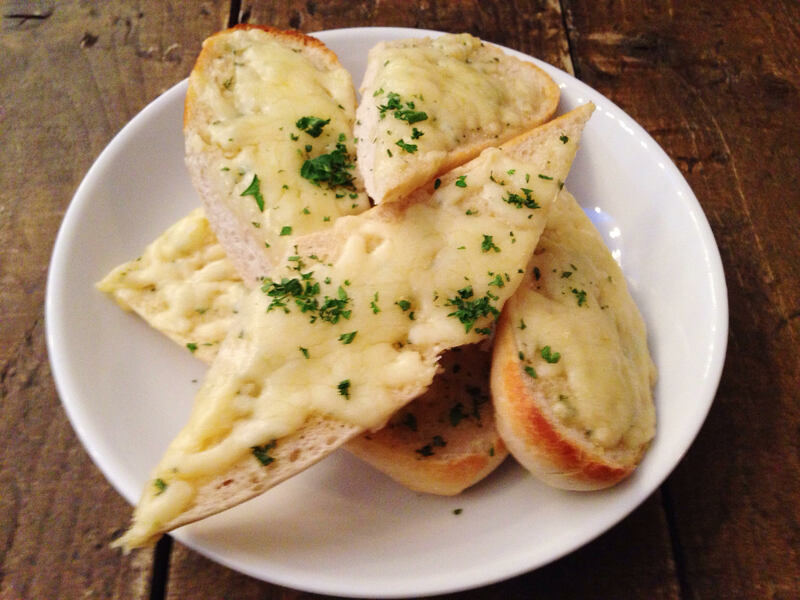 But I relented and ordered the garlic bread and, when it came, I was pleasantly surprised. It was nothing fancy or posh, but was clearly home-made – cheese on toasted baguette with the agricultural honk of shedloads of garlic. There was plenty of it for three pounds, too (just as well, because if you didn’t share it with friends they wouldn’t fancy sitting downwind of you for long). I decided to try both halves of the menu for the main courses. 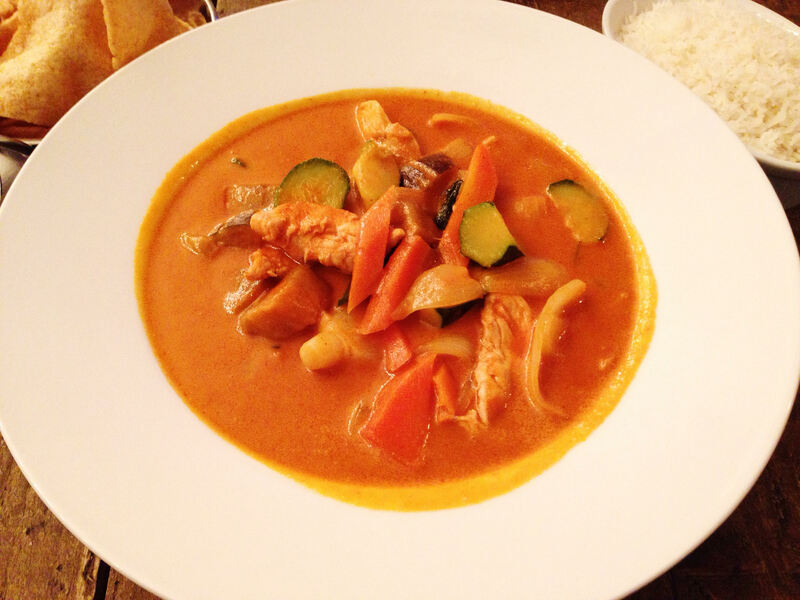 Red Thai chicken curry was enormous – a gigantic bowl of the stuff served with prawn crackers and plain boiled rice. You couldn’t quibble the portion size and there was plenty to enjoy: tender, well-cooked chicken, a sauce with the right mix of heat and sweetness, lovely soft shallots, crunchy strips of carrot and big, crude chunks of courgette. Again it felt like home-made food worth paying money for, but what stopped it going from good to great was the aubergine – so much of it, possibly a whole aubergine in fact, big cubes of watery aubergine with a faint taste of cold tea. By the end, looking ruefully at the makeshift cairn of aubergine left in the bowl, I wished they’d given me a slightly smaller, better balanced dish. The fish and chips was surprisingly good. The fish was a good size, big but not daunting. Not only that, but the batter was truly excellent; nicely crisp, lots of crunch and super light, among the best pub fish I can recall eating in Reading. The chips were decent if not stellar (crispy on the outside, fluffy on the inside but very regularly shaped – everyone knows the best bit of a bag of chips is the crunchy shrapnel at the end) but when dipped in the peas or a squirt of mayonnaise they were exactly what I wanted. The peas were rather runny – not your gastropub “crushed” pea affair – but nicely minty and fresh tasting. More than anything else I had, this fitted with what I’d read on the website – no showing off, just a straightforward dish done properly. Service was friendly and enthusiastic – the bar staff were full of recommendations about what was good from the menu and clearly proud of the pub and their food. Drinks very much lived up to the ethos that this is a pub, not a restaurant or a gastropub: lots of ale on tap and a very palatable Orchard Pig cider on draft which I liked a lot. The wine wasn’t so successful – the reds were mid-level supermarket stuff (Wolf Blass, Casillero del Diablo and the like). It was nice enough, and so was the New Zealand sauvignon blanc, but none of it had any element of surprise. I know, I know, it’s a pub: and yet the beautiful, high-quality wineglasses felt like they should be filled with something slightly more special. Dinner for two – one starter, two mains (which were each a tenner) and a couple of drinks each came to just under forty pounds. As I said at the start, the Fisherman’s Cottage is a cracking pub. I can imagine you’d have a very good time if you wandered down the canal from town one sunny evening and stopped there for a few pints and a chat with friends, especially if they have jazz in the conservatory, or if the weather’s nice and you manage to grab one of those beach huts. And if you happened to be there and you happened to order some food I’m pretty sure you’d have a pleasant meal. I wouldn’t make a pilgrimage to eat there, but perhaps that misses the point. Because it turns out you can’t divorce the place to eat from the pub: it’s all part of what the owners are trying to do. They said it themselves – the Fisherman’s Cottage isn’t a gastropub, it isn’t a restaurant, it’s just a really good pub that does good honest food. I think New Town’s very fortunate to have it (especially when you consider the main alternative, the disappointing Abbot Cook). So no, the Fisherman’s Cottage isn’t trying to be something it’s not, and it knows exactly what it wants to be when it grows up. In its quiet, only-slightly-ambitious way, I think it succeeds. Manhattan Coffee Club has closed its premises on the first floor of the Oracle: for a while it operated in a concession out of Harper & Lewis, on the ground floor but now appears to have shut for good. I’ve left the review up for posterity. I don’t think it’s possible to rid yourself of preconceptions when reviewing restaurants and cafes. They’re unavoidable, whether it’s because of things you’ve heard from others, or your research, or even just looking at the website. There’s a whole weight of prejudice – good or bad – which builds up before you approach the front door. All you can do is acknowledge your preconceptions and hope that you deal with them fairly, even if that does sound like the standard interview fiddle of describing your greatest weakness in a way that makes you sound brilliant and self-deprecating (you know, all that guff about being too much of a perfectionist). On that basis, you might well expect me not to like Manhattan Coffee Club (MCC from now on, mainly because I’m lazy) and, in the interests of honesty, I expected not to like it either. It’s co-owned by one of the people behind RYND, a venue I admire for many things (its ability to use social media properly, the programme of events it puts on – live music, comedy, cinema and the like) but whose food I found a tad cynical and bandwagon-jumping. It’s on the top floor of the Oracle, a place I’m increasingly starting to see as the epicentre of All That’s Wrong With Reading. Even the press release before the opening made my toes curl ever so slightly, with its references to a design based on early twentieth century New York “with industrial steel tables and chairs, reclaimed wood counters and an ethos that the sky’s the limit”. Really, must we? So yes, I approached MCC with all those preconceptions firmly in place and, from the moment I got to the front door, it neatly dismantled most of them. It’s a nice room, well done and it makes the most of a space which has almost no natural light: I expected it to feel a bit fake and joyless, like the top floor of Brown’s or Cote but actually it has a nice buzzy vibe to it. Yes, if you want to trend-spot you can – the industrial look is more Williamsburg by numbers than NYC in the Machine Age and the ubiquitous Tolix chairs are all over the place – but nevertheless, I warmed to it more than I thought I would. I even liked the fake trees at the door and the fake plants on the tables even though I knew they were fake – but then I’ve always found that a little suspension of disbelief makes the Oracle a far more enjoyable place. The lunchtime options largely consisted of salads, sandwiches for toasting and lots and lots of cakes and pastries. Quite a decent range of sandwiches, too: I spotted baguettes, ciabattas, panini, wraps and focaccia with a good selection of fillings. Of the salads I was tempted by the Japanese chicken and the tuna niçoise, but when push came to shove it wasn’t a salad kind of day. You order at the counter and collect your drinks there, then they bring your sandwiches over. Standing there waiting for my drink I was struck by the staff – all young, all enthusiastic, all really friendly. There also seemed to be a fair amount of them: quite a contrast to many of Reading’s independent cafés. Focaccia with salami, goat’s cheese and tapenade was really gorgeous. It’s a great selection of ingredients – salty and intense – and when toasted properly, as this was, they combine into something quite wonderful. Rather endearingly, the black-shirted chap bringing it to my table said “I’m sorry, I know it looks burnt but I promise it isn’t” (he was quite right, too). Somewhere between mouthful one and mouthful two my preconceptions properly went away – yes, it was a bit small at four pounds fifty but none the less, I loved eating it. The pulled pork (slow cooked for nine hours, according to their blurb, and eaten by me in about two minutes) wrap with coleslaw was also excellent and a great contrast, sweet where the focaccia had been savoury. I’m not usually a fan of quite sloppy pulled pork but it worked here, especially as it was contained by the toasted tortilla. Again, you could quibble about the price but it was deceptively substantial, with no thick clump of pointless wrap to wade through at the end. Roughly at this point one of the serving staff decided to do a round of the tables offering people amaretti biscuits from a gigantic jar. It was a lovely, random, cynicism-eroding thing to do: by this stage I was in serious danger of quite enjoying myself. Ironically for a place with coffee in the title I’m told the coffee was nothing to write home about. My companion’s latte was apparently a little bitter and not in the top flight of coffees in Reading (allegedly this holy trinity consists of Tamp, Workhouse and, rather surprisingly, Tutti Frutti). Earl Grey, on the other hand, was good (although tea is easy to do well), nice and fragrant and no one tried to put the milk in with the bag; I remain convinced that coffee drinkers would never put up with the ineptitude often shown in tea making. I was given a cup rather than offered the choice between a cup and a pot, and only realised that I’d missed out when I went up to order another, but this was a relatively minor error and I was too happy to get especially peeved by it. The second cup of tea was to accompany cake. 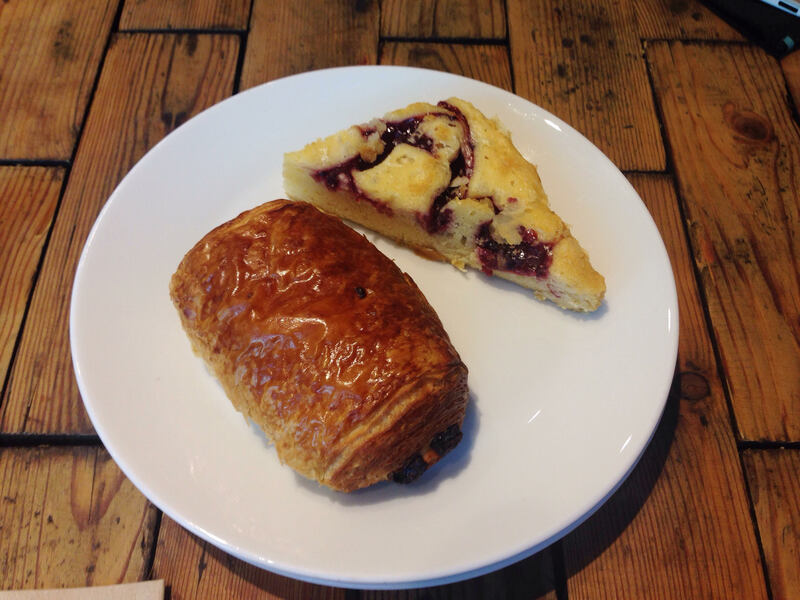 I was tempted by the red velvet cake but eventually opted for a blondie and a pain au chocolat. The berry blondie was divine – a heavy slice of cake that was almost like a super dense white chocolate cheesecake, with dollops of jammy berries in the dimples. It was almost like eating fudgy cake mix and I’m not ashamed to say that I made happy noises while doing so. The pain au chocolat, however, was probably the most disappointing part – MCC is apparently a bakery too but this was the kind of dense pastry you could have used to break a shop window. I’d hoped for light, flakey buttery layers but instead it was all compressed and spongy, and one bite revealed the inside to be a huge empty cavern, with two rows of chocolate like railroad tracks. Never mind: I suppose there had to be something I didn’t like. Lunch for two came to just under nineteen pounds, although I was given a fifty per cent off voucher for the coffee which saved me about a pound. I guess I’d say that everything was just a little on the pricey side, but thinking about the location and the people MCC needs to pay rent to, you can kind of understand it. Still, when you think about your alternatives in the Oracle itself – Costa, Nero (two of them), Starbucks (yes, two of them as well) I think MCC emerges pretty well from that comparison. It’s interesting: when C.U.P., an independent coffee shop, announced that it was planning to open just along from Bill’s there was a lot of sneering. Not ANOTHER coffee place, people said below the line on a variety of websites. Well, I think that misses the point. If there are too many coffee places in Reading, it’s certainly not places like C.U.P. or MCC. If new independent businesses have a good idea, and they do it well, and they take business away from the countless branches of our countless chains then I say the more of them open in Reading the better. Does MCC do it well? Yes, I think so. It’s a peculiar place in many respects, an independent that needs to look like an independent (for cred, mainly) but also needs to look as polished and professional as a chain (to fit in to the neighbourhood). In that respect, its closest relation is somewhere like Artigiano, but I liked it far more than Artigiano. The food, which could easily have been an exercise in box-ticking, is good. The service is informal and charming. I know that seeing an independent place like MCC in the Oracle is a bit like finding a Tory with a beard – at first the main thing that strikes you is the novelty value – but somehow it works. So preconceptions be damned: I can think of a dozen reasons why I shouldn’t have liked MCC but, despite all of them, it turns out that I did. Who would have seen that coming? One of my favourite things about this gig is all the times I’m asked to recommend a restaurant. No two requests are exactly the same, so one day it will be What’s the best Indian restaurant in the town centre? and the next it will be Where’s good for a special occasion? Or sometimes the requests are more specific: Does anywhere have a private room that could deal with about fifteen only slightly rowdy diners? Where can I go that’s quite upmarket but I could go with my kids (oh, and preferably gluten free)? One question I never get asked, though, is Where’s the best place to eat on your own? I guess ER readers are a sociable bunch and never think to eat out alone (I know a few of you are only down in Reading during the week for work, and have used the blog to find places to eat while you’re away from your families: really glad that it’s come in handy!). Or perhaps it’s because of the stigma attached to dining solo; it feels like this is sometimes judged in a way that going to the cinema, for example, just wouldn’t be. Waiting staff in restaurants don’t always help – I’ve lost count of the amount of times I’ve been asked whether someone is joining me followed by the look of confusion or pity when I say actually, no, nobody is. There’s a lot to be said for eating alone – being able to read a newspaper or a paperback between courses (and being able to put it down to take part in people watching, one of my favourite hobbies). Being able to order whatever you like without being silently judged; it can’t just be me who has friends like this? And, odd though this might sound, I love being in a restaurant on my own with all that bustle going on around me: silence is all very well, but there’s also something about the chatter of a buzzy restaurant which makes for very comforting background noise. The perfect restaurant for solo dining has to meet slightly different criteria. 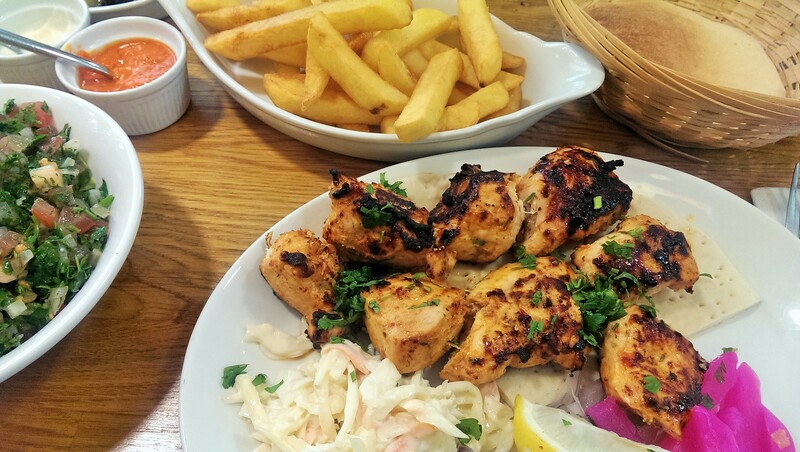 Obviously the food has to be good – that never changes – but apart from that other considerations are higher up the list. Good tables for one which don’t involve you being stuck in a corner facing the wall in the spot specially designated for Billy No Mates. A decent view, preferably with a steady stream of passers-by. And, last but not least, the kind of warm service that doesn’t make you feel like a charity case who’s been stood up. My best solo meal this year was in Pierre Victoire in Oxford, one of my favourite restaurants. I had a day off on my own and I went in on the off chance. They found me a lovely table upstairs, facing out into a room full of happy, boisterous, gesticulating diners. I had the two course set menu with a nice big glass of red (because I could) and an Orangina, served in that iconic glass bottle. I ate my food, I managed to finish off my book in between courses, and I just about managed to convince myself that I was in France after all: damn near unimprovable. So anyway, if you haven’t enjoyed the delights of a table for one I reckon you’re missing out. Here are six of my favourite places to do that in Reading, in case you fancy making like Jason Derulo. This part-time restaurant is fast becoming one of my new favourites in Reading. The seats at the windows offer a view which is every bit as good as television, onto the Oxford Road in all its chaotic, character-strewn glory. Food is bite-sized and it’s perfectly fine to order a couple of dishes, then a couple more if you haven’t had enough (and then, if you’re me, a choripan montadito for the road). There’s no alcohol license, so you can take along your own alcoholic drinks: personally I like a nice cold beer, or – judge away – gin and tonic in a can. Usually it’s a one man band here, so front of house is also the chef: he’s warm and welcoming and always seems slightly surprised to be busy, even though he deserves to be. 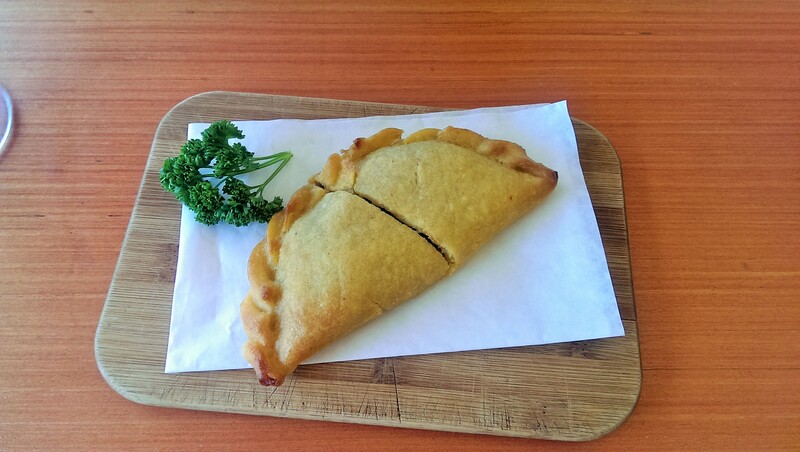 Other diners here are especially lovely, with the large table in the middle fit for sharing, should you decide that you want a little conversation with your (amazing) pulled pork empanada. Somehow Côte manages to be the acceptable face of chains on the Oracle, with an interior that is perfect for a party of one. The tables round the edge are comfy and cosseting and mean that it’s possible to be tucked away whilst still getting to watch all the human traffic in the rest of the room. If the weather is nice the tiny outside tables facing onto the canal are even better – perfect to watch passers-by passing by, perhaps with a novel, a pair of sunglasses to hide behind and a glass of vin blanc to sip. The tuna nicoise remains one of my favourite dishes in Reading – and if you’re dining alone you can have that basket of bread all to yourself, because you’re worth it *swish swish*. There has been some recent controversy about whether Côte trousers all of the “optional” 12.5% service charge: the Evening Standard says they do, Côte vehemently denies that. Either way, probably best to knock it off the bill and tip cash, if only to reward the consistently excellent service. A recent discovery, Bakery House is perfect for solo dining. It’s an unfussy room, the service is nice but unobtrusive and it’s always full of other diners enjoying some of the most interesting food in Reading right now. Because it’s emphatically casual dining you won’t be interrupted or turned or moved on, so you can take your time. And the dishes are well worth taking time over: last time I went there on my own I had the ozey lamb, a heap of spiced rice with minced lamb with big slices of lamb shank on top of it. Separate the meat from the fat, shred, mix in with the rice and eat with big dollops of thickened yoghurt. Utter bliss. No alcohol license here either, but people tell me the home made mint lemonade is so good you won’t miss it. Oh, and be warned: many of the dishes make liberal use of garlic so you might also want to remain solo if you go on anywhere after your meal. Yes, I know it’s another chain but there’s something about conveyor belt dining that is absolutely perfect for eating alone. You can choose what you like without having to compromise and you can clock up as many brightly coloured bowls as you like without anyone looking down their nose at you. Also, Yo! offers great people-watching potential as you look at other people sitting by the belt and imagine what their stories could be. The other advantage of turning Japanese is that this is one place where the staff only speak when spoken to. So if you’re feeling antisocial – or really engrossed in your book – it’s possible to have the whole meal without being interrupted, unless you want to order something that isn’t on the belt (I’d recommend the spicy pepper squid or the avocado maki). Shopping in House of Fraser beforehand is entirely optional; I do it, but the less said about my Paperchase habit the better. Dolce Vita makes this list because there’s nowhere like it in Reading for service: the staff are all, without exception, warm and friendly and if you’re dining alone they check up on you to make sure you are alone but not lonely. It feels a little like eating round a friend’s house – a trick very few restaurants get right, mainly because so many of them can be a little over-friendly. The set menu remains pretty solid value and usually has some unusual stuff on it (at the time of writing the shakshuka – baked eggs – is especially good) but to be honest you could do a lot worse than a pizza. To top it all off, a seat on the balcony offers a nice view out and, on good days, plenty of sunshine. I never used to be sure about settling in at the Tasting House – the furniture always seemed to scream stay here if you absolutely must – but since then a subtle refurb has made it somewhere you really want to linger. My absolute favourite spot is at a stool in the window, watching the people of Reading strolling down Chain Street (and in most cases doing a double take, as if they have never seen a wine bar before, let alone one with cheese boards). 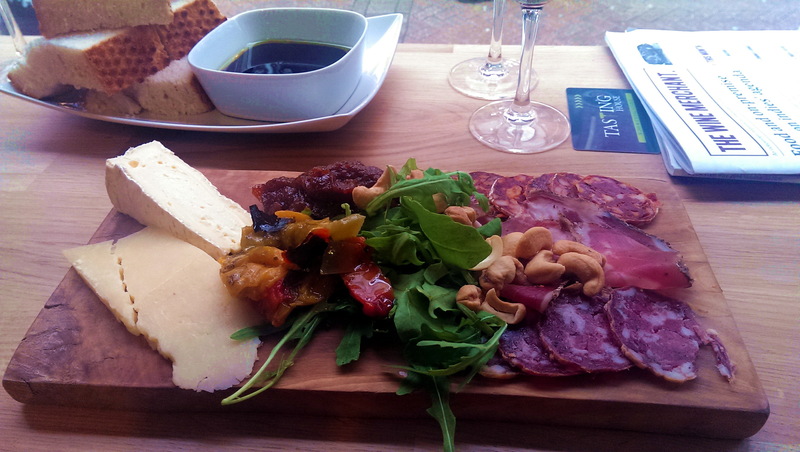 Food here is on the nibbly side, with cheeses and meats to pick at while enjoying your wine. 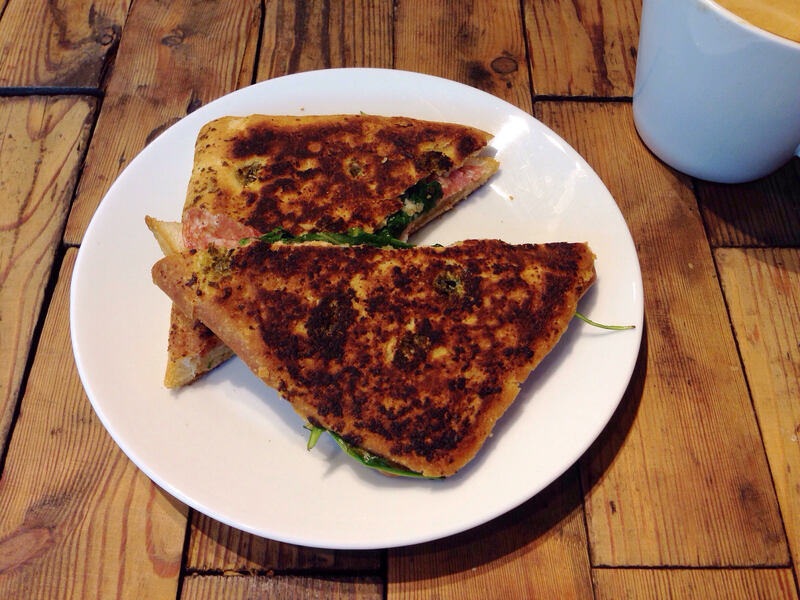 Particular high points for me are the coppa and the tomato chutney, heaped onto a strong cheddar or a stinky blue. The staff here are the opposite of Yo! – if you’re having trouble choosing they’re as approachable as they are knowledgeable. Oh, and if you don’t have a Tasting House card for the enomatic machines it doesn’t matter – they can give you a staff card to use and bill you at the end. Only one thing stops it being the perfect solo destination – I’ve never managed to get a decent mobile signal there to go on Facebook and tell everybody how much fun I’m having. Oh well – there’s no shame in a restaurant being humblebrag-proof, is there?